What are racism and racial bullying? Racism is where someone thinks you’re inferior because of your colour, ethnicity, nationality or race. This can result in them treating you differently or unfairly, this is called racial discrimination. Racial bullying is a type of racism where someone’s bullying focuses on your race, ethnicity or culture. 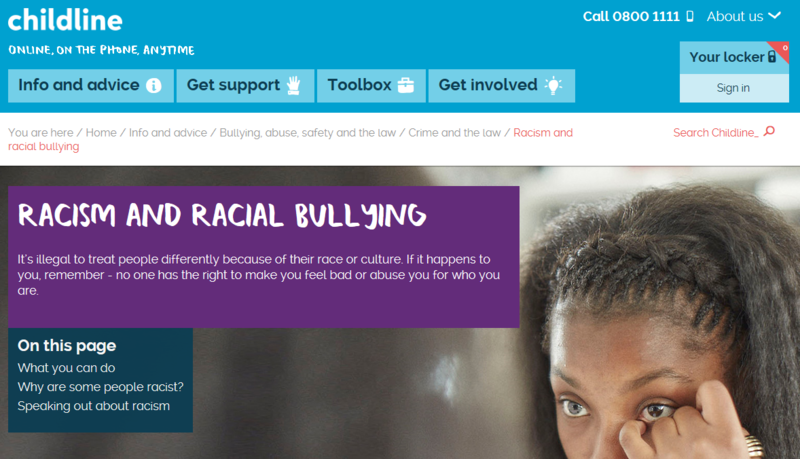 Racism and racial bullying are wrong and you can get help to make it stop. racist jokes, including jokes about your colour, nationality race or culture. Racism can affect anyone. It can make you feel like you’re not important or don’t fit in. You might feel upset, depressed or angry. You can be affected by it even when it’s not aimed at you, like if you hear someone discriminating against someone’s culture.